As a small business owner, you may feel obligated to change something this year to make yourself more productive, more successful, or just to be able to handle the pressure of running a business better. Perhaps you’ve tried this before. And you may wonder why it hasn’t worked. The answer is fairly simple. Resolutions are broad, sweeping, changes to habits or character. They are rarely practical, almost never clearly defined, and are not easy to track. You can write them down, but how do you measure how close you are to achieving them? If you want to improve the way you do things in 2018, don’t make resolutions: set goals. The difference between a resolution and a goal: “Exercise” is a resolution. “I am going to exercise more this year,” said many, many liars over the course of time. It is broad, vague, and altogether too ambitious. “Lose two pounds this week” is a goal. It is clearly defined, easy to keep track of, and manageable. Furthermore, if you accomplish this goal, you can up the ante next week. A good example that is more applicable to the small business owner: you may resolve to do more with social media this year. However, this leads to an unfocused approach to social media marketing that may very well do more harm than good for your brand. A better approach would be to set a goal. For example, increase Twitter followers by 10% this month. This gives you a clearly defined, trackable goal that then influences your marketing strategy. The great thing about setting manageable, short-term goals is that they eventually develop habits. As you work to increase your Twitter followers, you’ll find that you develop good marketing habits, like posting every day, responding to customer comments, and sharing content. Overall, I think you’ll find that consistent goal setting is the best way to increase productivity, and build a better business. Since 1992, the Iowa Rural Development Council (IRDC) has been engaging partners and assisting small towns. And there are steps being taken to boost the work of the Council and expand its impact. The IRDC was created as part of an Executive Order and ensuing Farm Bill in 1992. It received federal funding for many years and was later housed in the Iowa Department of Economic Development. But both state and federal funding dissolved and the group has operated informally without paid staff since 2005. In 2016, the IRDC hosted the first-ever Iowa Rural Summit, bringing together 300 individuals from more than 60 rural communities. That event sparked a resurgence in interest among rural advocates and convinced IRDC partners, who include federal and state agencies, Regents’ institutions and community colleges, utilities, non-profits and statewide associations, to revitalize the Council’s ability to support rural development. Beginning in 2018, IRDC will develop sponsorship levels open to partners, including for-profit businesses, seeking to support strategies and policies that benefit small towns and rural places. And that will allow the Council to bring on a paid executive director, former USDA Rural Development state director Bill Menner. Menner, who served at USDA from 2009-2017, was previously economic development director in Poweshiek County. He will help the IRDC connect with new partners, resource providers and innovative rural communities who can provide successful case studies for other places. The financial resources created through sponsors and engaged members will position the IRDC to launch new programs that address rural issues, build capacity with small towns, and capitalize on opportunities that exist to enhance the viability of rural communities. Those opportunities may revolve around issues the IRDC sees as central to rural development, from housing to workforce to broadband to entrepreneurship. For more information about the Iowa Rural Development Council or the 2018 Iowa Rural Summit, contact Bill Menner at iowaruralcouncil@gmail.com or 641-990-4757. Iowa Rural Development Council Leadership Team (left to right): Rand Fisher, Iowa Area Development Group; Mark Reinig, Iowa State University CIRAS; Bill Menner, IRDC Executive Director; Sandy Ehrig, Iowa Farm Bureau “Renew Rural Iowa”; Amy Kuhlers, Iowa Economic Development Authority; Jim Thompson, Iowa Economic Development Authority; James Hoelscher, University of Northern Iowa Institute for Decision Making; Gary Taylor, Iowa State University Extension. 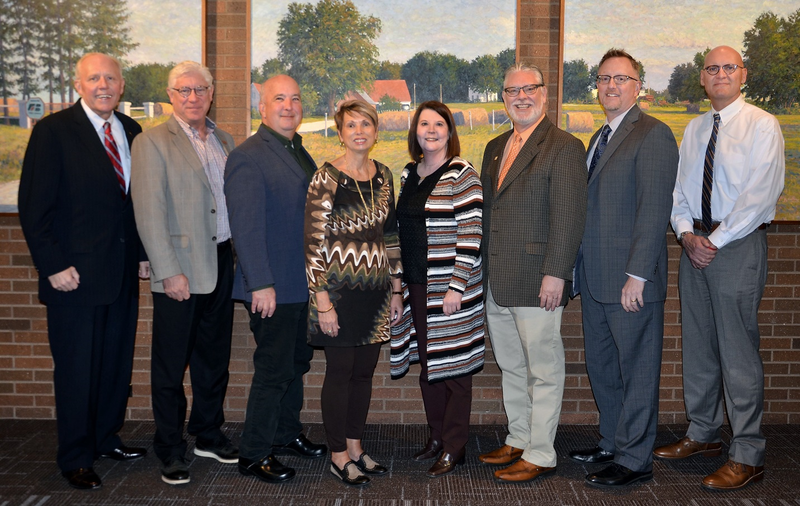 Not pictured: Kathy Anderson, ABI; Sue Cosner, Iowa Area Development Group; Dave Duncan, Iowa Telecommunications Alliance; Zachary Mannheimer, McClure Engineering.